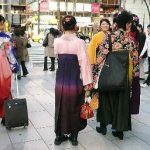 When it comes to fashion, Japan is arguably one of the biggest risk-takers in the entire world. 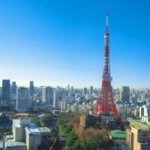 Although Tokyo is known as being one of the major international fashion hubs, several other cities in Japan are home to forthcoming designers with promising potential. One of those up-and-coming designers is 32-year-old Emi Jingu from Sapporo, Hokkaido. 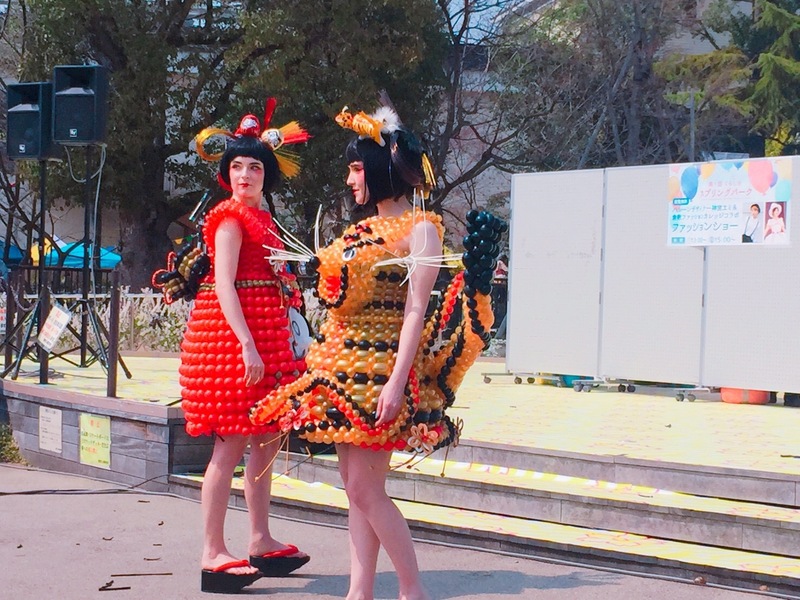 Emi’s designs are truly one-of-a-kind, for they are made completely from balloons. 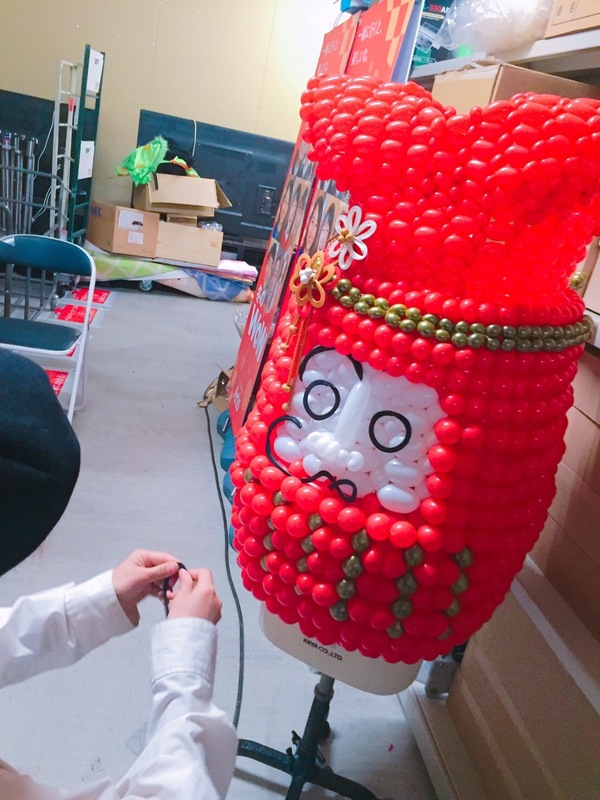 Emi first got her start with balloons back in 2012 when she worked part-time as a balloon artist. 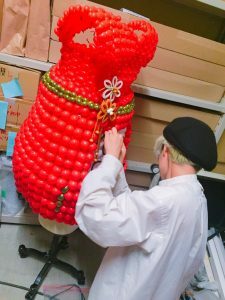 She began applying more creative concepts to what the balloons were capable of, and by 2013, she took the step to begin her career as her own full-time balloon artist. 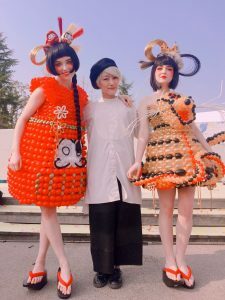 She established her company, “p0p0 balloon”, with the desire to make people happy. Since then, she has won several awards in Japan, the United States, and even world conventions. Her most successful designs have been in the “dress” and “costume” categories, where just one creation takes about 4 days to complete. 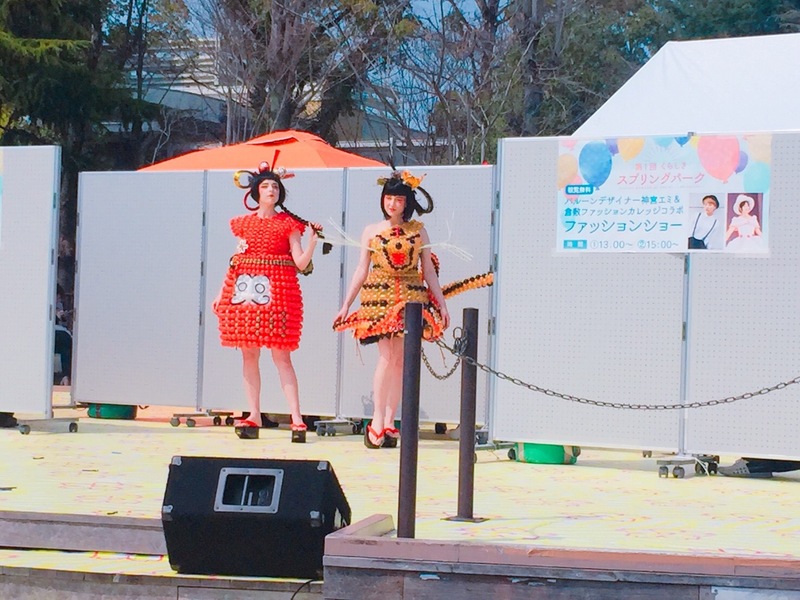 This past weekend, Emi participated in a balloon festival in Kurashiki, Okayama. 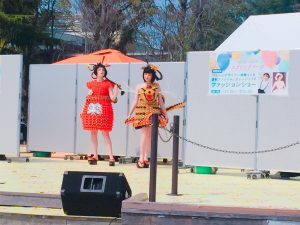 The family-friendly event, held in Kurashiki Mirai Park (倉敷みらい公園）offered a variety of attractions, ranging from live music, school performances, bouncy castles, and even a fashion show! It was this fashion show where Emi’s balloon designs took center stage. The first outfit was a Japanese daruma, or traditional doll. 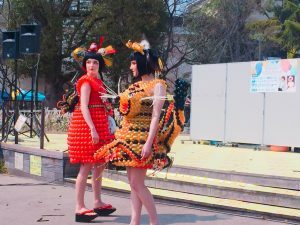 The dress consisted of mostly red balloons, with a cluster of white balloons in the front to form a face. 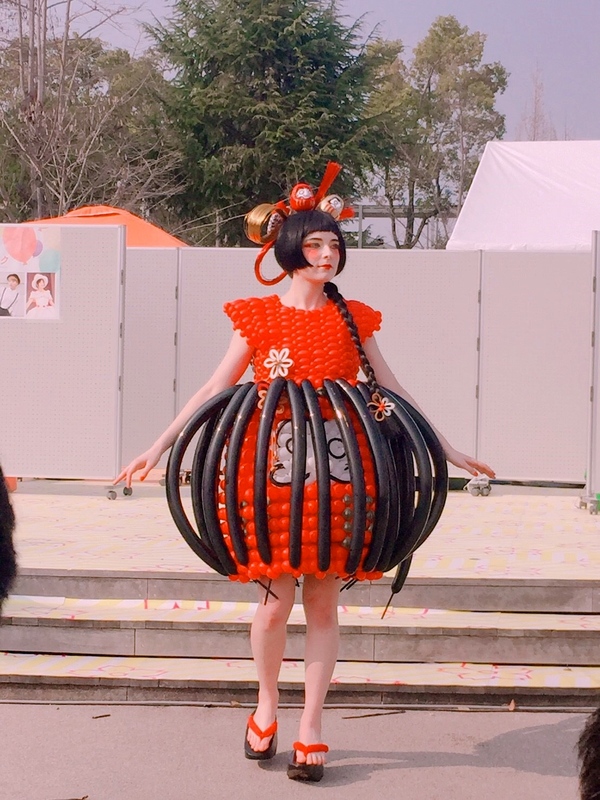 At first, the face was concealed beneath a black skirt, but halfway through the walk, Emi came onstage to pop the black balloon skirt one-by-one to reveal the daruma’s face underneath. 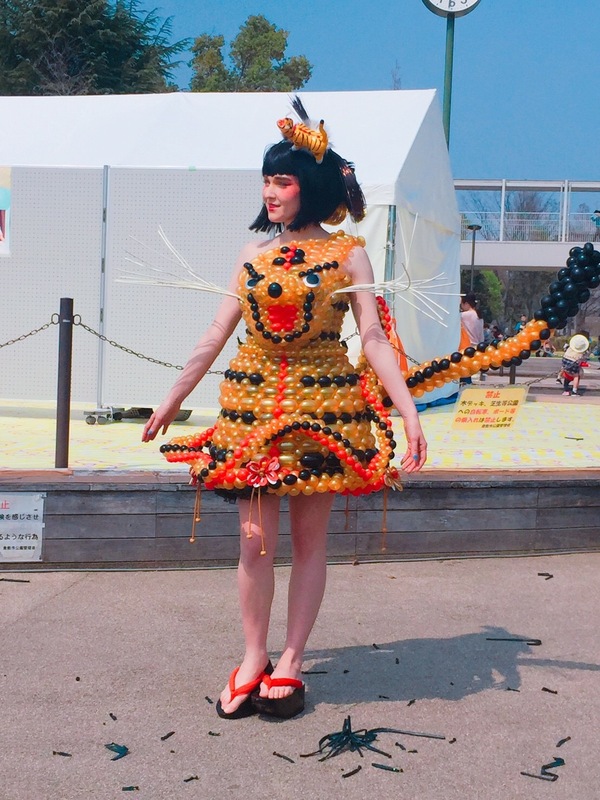 The second and final balloon outfit was a tiger. This dress, which also took a full 4 days to make, had a yellow base, black and red stripes, a tiger’s face, and a long yellow and black tail. Protruding from the tiger’s face were two clusters of “whiskers”, which were also made from balloons. 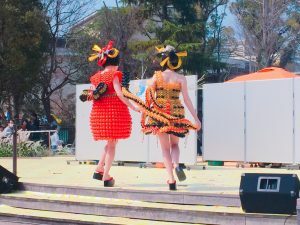 Both models wore black wigs, traditional Japanese-inspired makeup, and tall Japanese geta shoes. The audience was amazed! 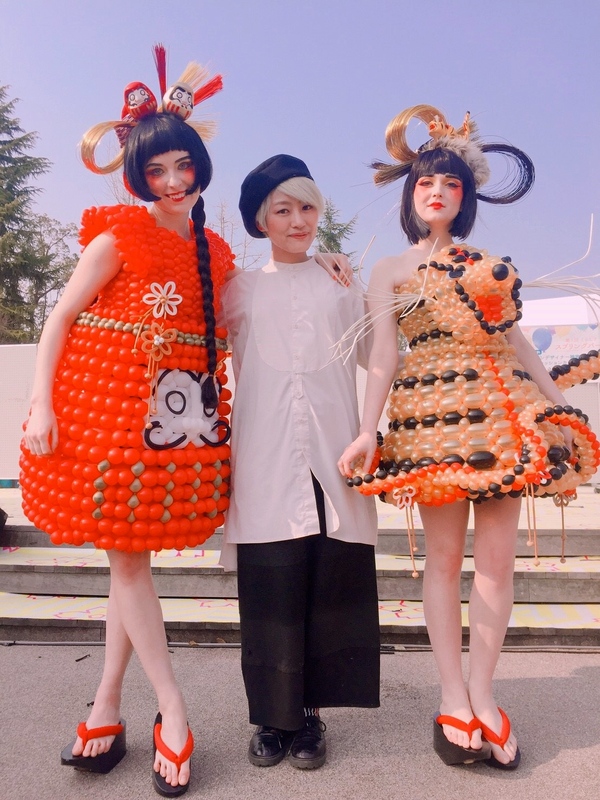 Following the show, there was a chance for people of the audience to come up to the stage, talk to Emi about her designs, and take a picture with the models. It’s rare for fashion shows to be so up-close and interactive! 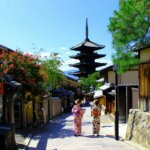 Japan is filled with many creative designers who love to combine traditional Japanese culture with modern artistic ideas. 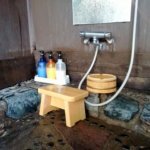 Emi Jingu is just one of thousands of people working every day to make Japan a happy, exciting place! 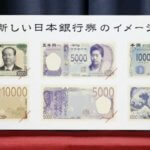 For more information on Japan’s own p0p0 balloon, feel free visit their website. 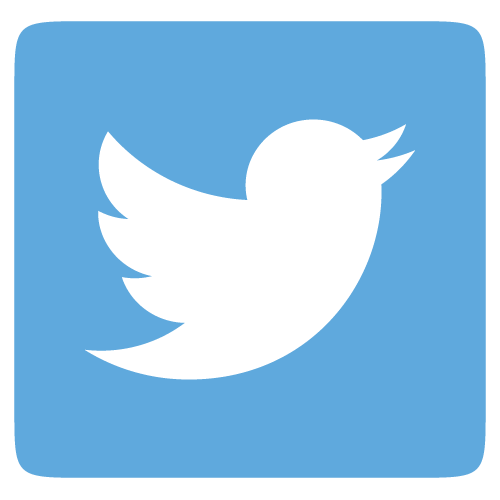 For more posts about current Japanese culture, follow Japanese Language & Culture on Facebook!